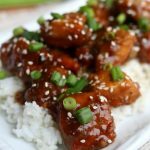 Slow Cooker Orange Chicken–make a flavorful, restaurant-style orange chicken at home in your slow cooker. 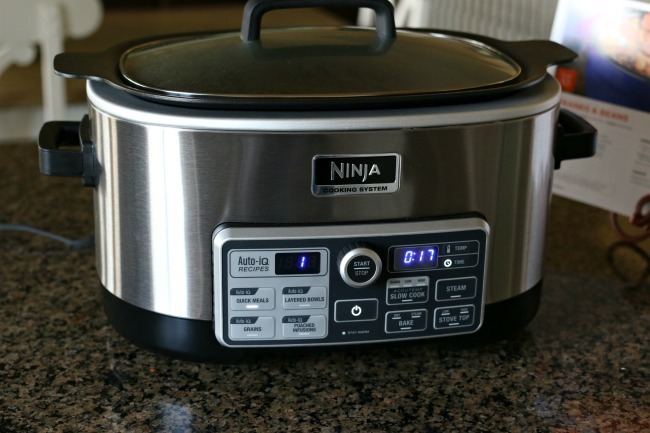 By using the Ninja® Cooking System with Auto-iQ™ you can make the chicken from start to finish in one pot. 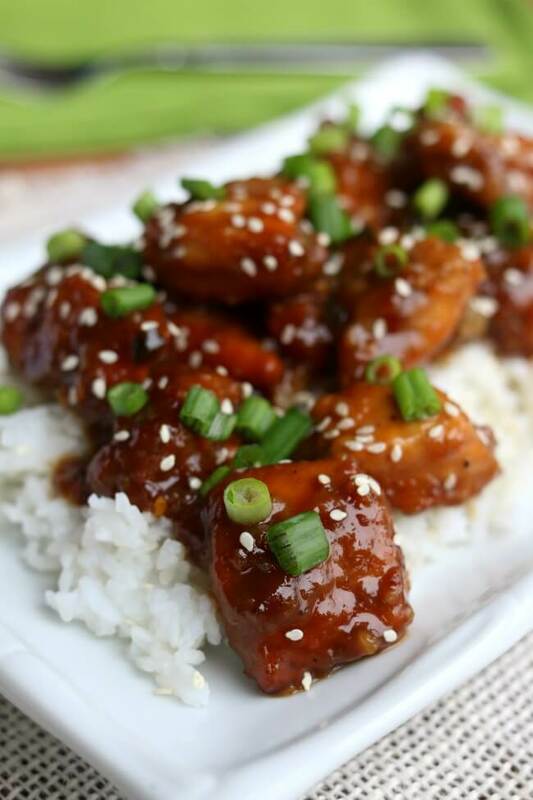 Today I am going to share with you a recipe for slow cooker orange chicken but I’ll also be sharing with you about my experiences with my new multi-cooker, the Ninja Cooking System with Auto-iQ (and there is a giveaway for one too). As you know I love getting new “toys” in my kitchen and this one has been so fun to play with! This appliance is so much for than just a slow cooker (although I do love a good slow cooker). It’s actually able to sear and sauté with its stovetop function. And it’s also a steamer and an oven for baking. If this seems way to complicated for you don’t get overwhelmed. The Ninja Cooking System with Auto-iQ is made for people that don’t want to think about cooking. The cookbook that comes with it is so cool! 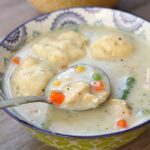 It has 100 plus recipes that are simple one-pot recipes. A good chunk of the book is dedicated to Auto-iQ quick meals. What does that mean? Well the Auto-iQ function takes the guesswork out cooking. 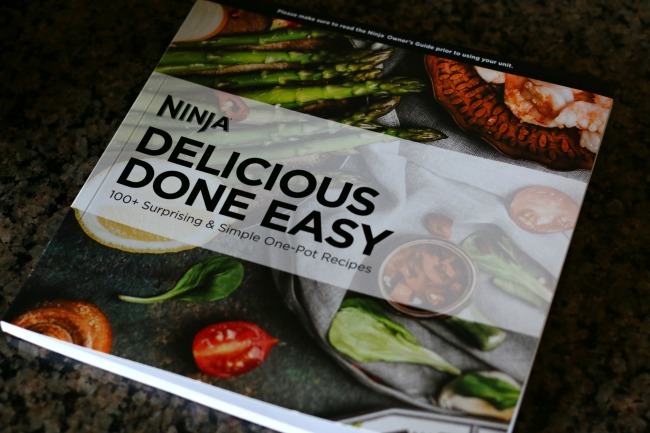 You just follow the recipe exactly and turn the Ninja Cooking System with Auto-iQ on to the right setting and you’ll have dinner on your table within 30 minutes. For example, I made the Pepperoni Pizza Mac and Cheese recipe. I placed all the ingredients into the pot (except the cheese), stirred, covered the pot and selected Auto-iQ Quick Meals: Recipe 11. Then I pressed start. Once the timer indicated the food was ready all I did was stir in the cheese. It only took 30 minutes from start to finish! I was not feeling great last week with a bit of a cold and fever. This recipe was so perfect because I literally only had to stand up for 5 minutes to make this meal and then 25 minutes later the food was ready. Then I could lay down and snuggle up with a blanket and a good Christmas Hallmark movie. My kids LOVED this meal and so did I. It felt so nice to have a hot meal ready with just a miniscule amount of work. Before I got the Ninja Cooking System with Auto-iQ and had such a good experience with the Auto-iQ function I didn’t really understand what the purpose was for a multi-cooker like this. Now I get it. 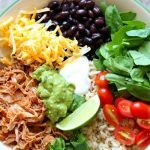 I love the fact that I used it for a quick meal (instead of a slow cooker meal) but that I can also use it as a slow cooker too. It is so multi-faceted. I can’t wait to make the Asian Meatballs with Broccoli for dinner this week. I bought the few ingredients the recipe called for and am excited that this is another 5 minute prep recipe with only a 25 minute cooking time. If you want to go above and beyond the quick meals, the cookbook also shows you how to make “layered bowls.” These are 2-step recipes that use the stovetop setting to sear proteins and build layers of flavor before cooking to perfection. For example, make a chicken gyro with quinoa in the pot or baked eggs with breakfast hash. The cool thing about the slow cooker function on the Ninja Cooking System with Auto-iQ is that the pot heats from the bottom and sides. Usually slow cookers only heat from the sides. The cookbook has a section for slow cooker recipes too…I’m excited to try out the Slow Cooker Korean Chicken Wings. If you’re interested in purchasing the Ninja Cooking System with Auto-iQ you can get 15% off until December 31, 2017! Use my code KAREN15 to receive 15% off your very own Ninja® Cooking System with Auto-iQ™ – good from now until Dec. 31. 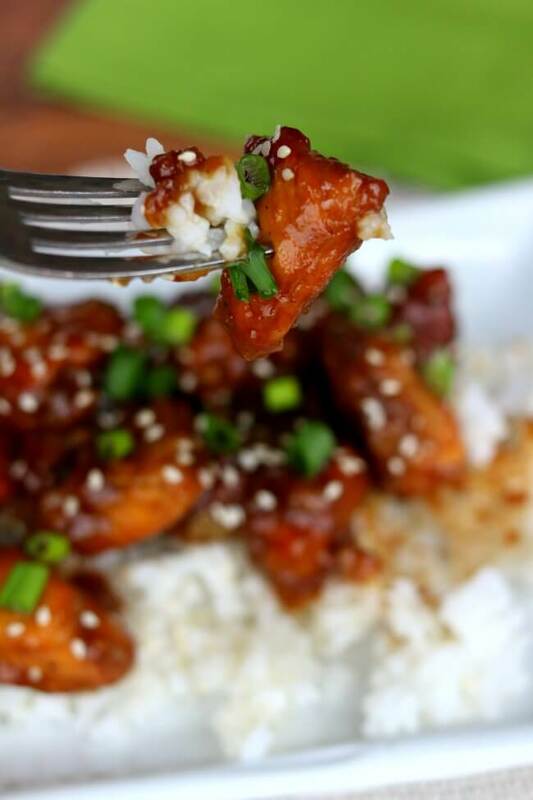 Make a flavorful, restaurant-style orange chicken at home in your slow cooker. By using the Ninja Cooking System with Auto-iQ you can make the chicken from start to finish in one pot. In a bowl, whisk together the zest, orange juice, lemon juice, soy sauce, brown sugar, ginger, garlic, green onions and red pepper flakes. Set aside. Combine flour, salt and pepper in resealable food storage bag. Add chicken. Shake to thoroughly coat with flour mixture. Heat oil in the Ninja by using the stovetop setting on high. When oil is hot, brown the chicken about 2 minutes on each side. You may need to work in batches. Once you have finished browning the meat, turn the Ninja to the slow cooker function and set it to low for 2 hours. Whisk the orange juice mixture one last time and then pour it over the chicken. Cover the slow cooker. Once the chicken has cooked serve it over rice. Garnish with green onions and sesame seeds. Enjoy! 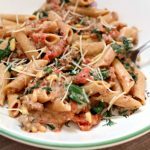 I used my Ninja Cooking System with Auto-iQ for this recipe. Can this be made with rice on bottom? I’ve done other dishes with basmati and risotto on bottom and meats on rack above? You certainly could try! I haven’t played around with it enough to know how it would work. Let me know! Glad to hear this Holly! Interesting! I haven’t heard of this. So apart from the fact it isn’t a pressure cooker, how does it compare to the Instant Pot? 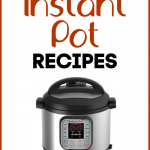 I’m assuming you wouldn’t replace an Instant Pot with it. Is it just a much better slow cooker? I like that it can be an oven too so it replaces an electric roaster? Hi Tara, yes it is really interesting! It isn’t a pressure cooker like you said but it is oval shaped which I really appreciate because you can fit odd cuts of meats. It also has a nonstick cooking surface which is really easy to clean. I haven’t slow cook function much with the Instant Pot so I can’t really compare those two functions. It is a great tool to have in your kitchen and has many uses. Any recipe that include sugar get only one star from me. Sugar should never be in any food. Sugar is dangerous to the humans. Sugar will be the second worst choice in life after tobacco. Looks DELICIOUS! Can you do this in the instant pot? 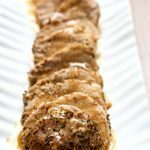 I couldn’t figure out a good way to make it yet in the Instant Pot. This looks so good! 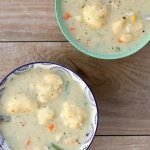 Can I make it in my Instant Pot? I know nothing about the Ninja system. Thanks! Hi Linda, I’ve tried two different times to make this in the Instant Pot and I failed both times. Here’s what I would do if I tried it again. I would do the flour step with the chicken. Then I would heat the pot with the saute function and I would brown the chicken. Then I would place the chicken in a pot/dish that fits inside your instant pot and pour the orange juice mixture over the top. Then I would clean out the bottom of the instant pot and put one cup water in it. I would place the pot (with the chicken) inside the pot on top of a trivet. Manual high pressure for 8 minutes, 10 minute NRP. Like I said, I’m not sure if this would work but I think it’s the only way. Looks like my reply didn’t post. I’ll try again.. When you tried the IP did you use the slow cooker function? Do you think it would work better to brown the chicken first on the stove and use a real slow cooker or the IP? I really appreciate all the work you put in your recipes trying to make them the best they can be! Ohhhh, sorry Linda I thought you were asking if you could pressure cook this recipe. I think you could totally use the slow cooker function. Not on the lowest setting though…since that one is like warm. I would just brown in the bottom of the IP and then pour in the sauce and then use the slow cooker button.